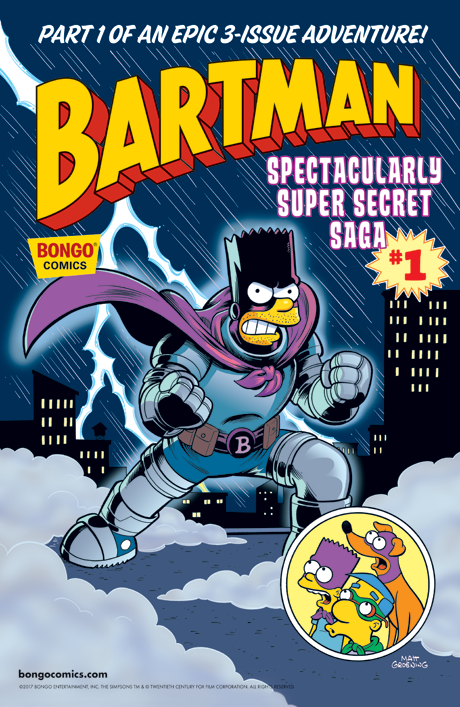 The Bartman Spectacularly Super Secret Saga #1 is available for purchase on the Simpsons Store app! In a sweeping, superhero saga spanning decades, Bartman faces the most mysterious criminal mastermind of his career! Fates will be revealed! Loyalties will be tested! Identities will be mistaken! Apple carts will be upset! And this is only Part One! The Simpsons Store app is available for download from the iTunes App store and Google Play.